Select Products is an established, family owned business based in Leeds, committed to delivering high quality installation services. We have a wide collection of doubled glazed windows, doors, and conservatories, with many satisfied customers throughout the Leeds, Harrogate, Wetherby and Yorkshire area. 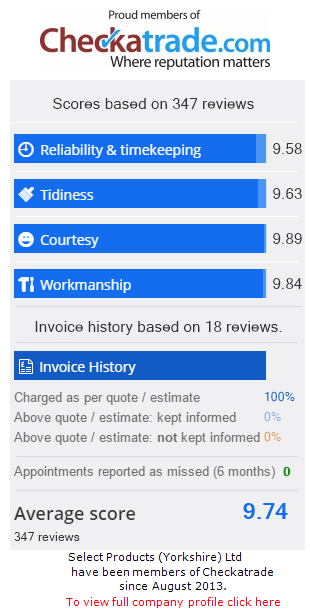 Our excellent reputation has certainly helped us to expand our ever growing base of customers, having supplied them with fantastic uPVC double glazing and expert workmanship. A fully certified company, Select Products is FENSA registered while also being a member of FairTrades, so we are fully qualified to offer a comprehensive insurance backed guarantee on all our work. All our uPVC and timber windows are BFRC energy rated and as Planitherm installers, we can provide you with windows that are highly energy efficient. We can supply you with quality conservatories, windows and doors, and whatever your preferences, you are sure to find the perfect double glazing for your home courtesy of our online quote builder. Our online quote builder features a range of timber and uPVC windows and doors. Browse through our attractive collection, and get instant online prices for your favourite styles. Start your free online quote. Here at Select Products, we also offer a choice of conservatories, fascias, soffits and guttering – all available in a range of colours. Call us today on: 0113 2578933 and a member of our team will be happy to help with your enquiry. Find us on Checkatrade.com we are a proud member and our reputation is important. We display a wide collection of quality windows and doors in our fantastic double glazing showrooms. Visit our showrooms and make a well informed decision on your double glazing. All our showrooms feature the latest double glazing designs, allowing you to choose a style which complements your home. Select Products is a family run business based in Leeds, which delivers quality double glazing to customers in West Yorkshire. 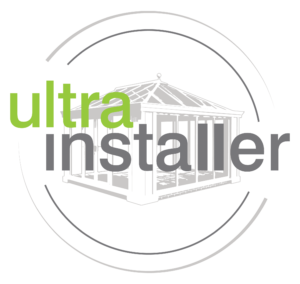 Here at Select Products, we are committed to delivering high quality installation services, and have many satisfied customers throughout the Leeds area. Our excellent reputation is built upon our first-class double glazing and expert workmanship. Select Products only provides the best. Open 6 days a week, many homeowners come and visit our double glazing showrooms to see our amazing collection in person. With such a wide choice of stunning styles, you are sure to find the perfect double glazing for your property. Select Products can also provide you with a choice of conservatories, fascias, soffits and guttering – all available in a range of colours. Contact us to today on: 0113 257 8933, where our friendly team at Select Products await your enquiry. Come and visit our showroom at: 57 Rodley Lane, Leeds (next to Olive Tree Restaurant) and we will be happy to show you our excellent collection.